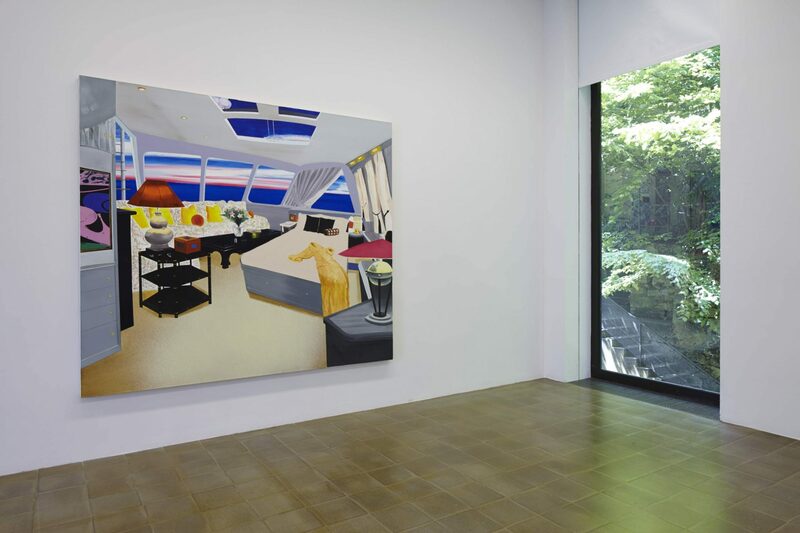 The British painter Dexter Dalwood (b. 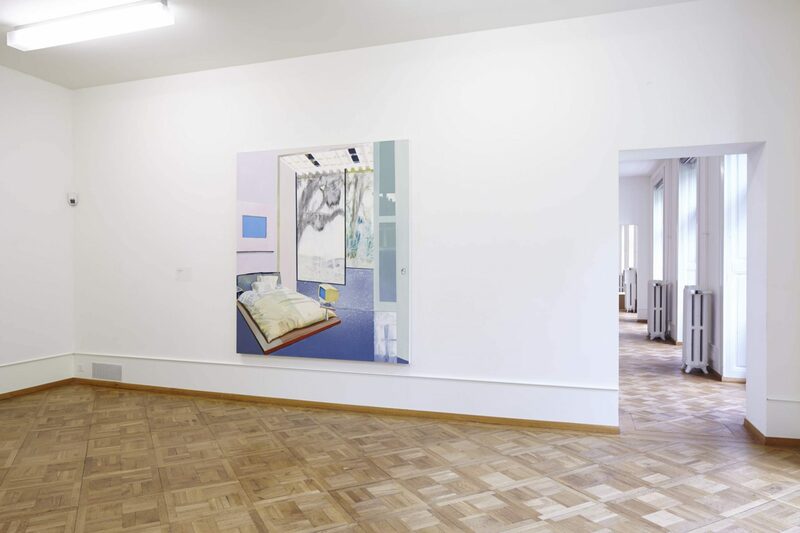 1960, Bristol), who was nominated for the prestigious Turner Prize in 2010 is presenting at Kunsthaus CentrePasquArt in Biel his first institutional one-person exhibition in Switzerland. 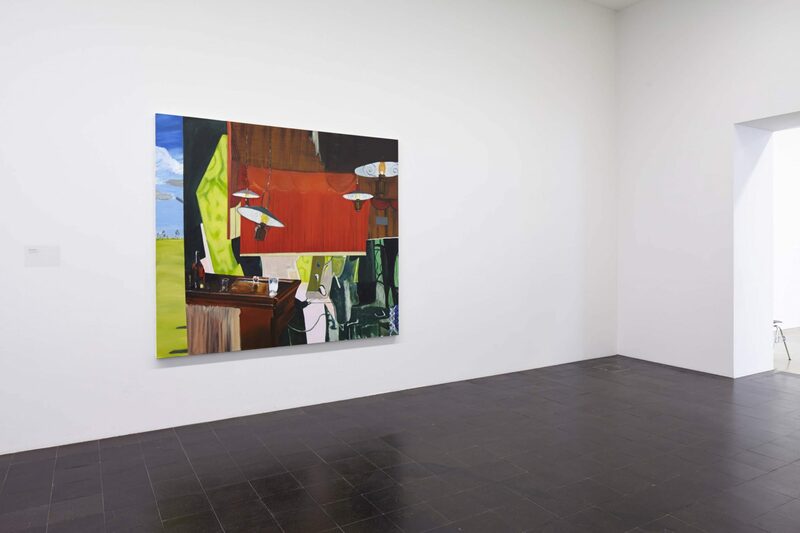 Dexter Dalwood engages in a contemporary form of history painting in his large format paintings. 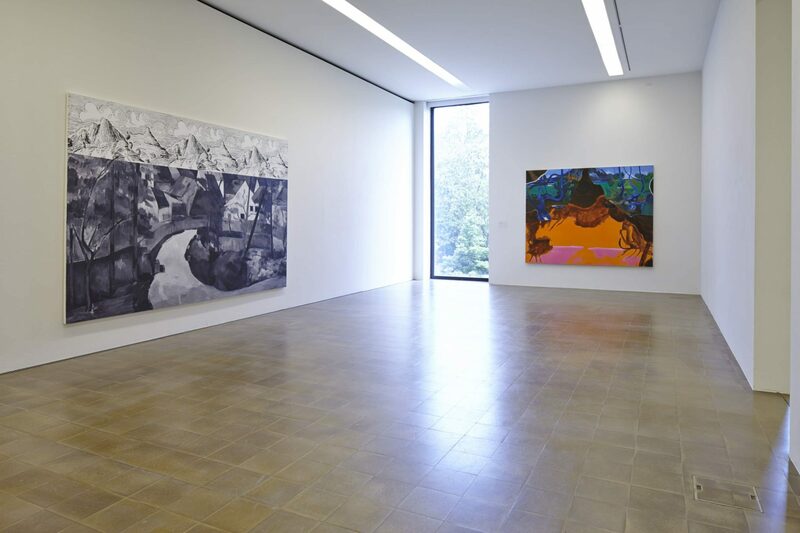 He shows places that are laden with historical meaning and depicts the environments that might have been occupied by well-known figures from culture or politics. 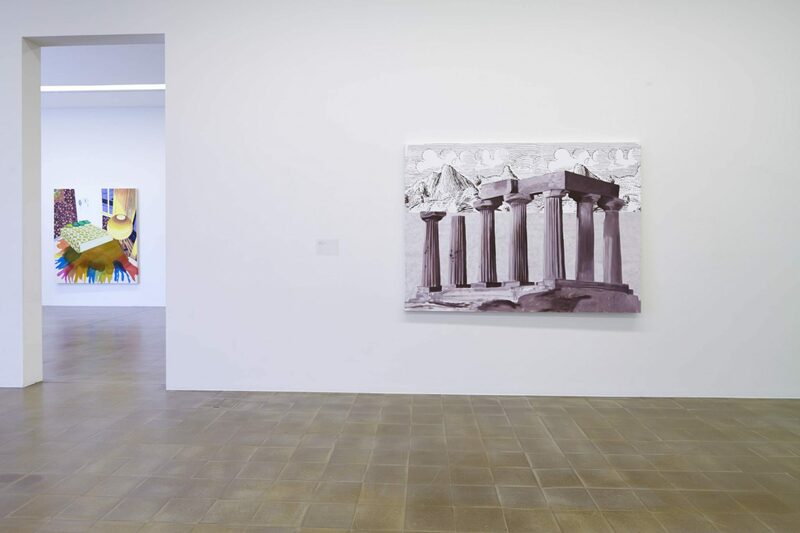 Dalwood is interested not only in contemporary history but also in the history of painting: the event or situation depicted is always reflected in the styles of painting that were developed during the periods referred to in the work. 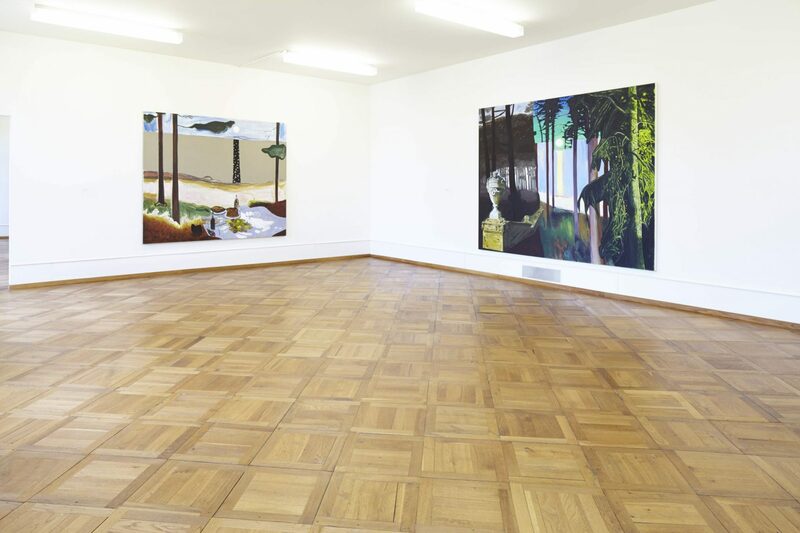 The exhibition at Kunsthaus CentrePasquArt concentrates on Dexter Dalwood’s paintings of the last 15 years. 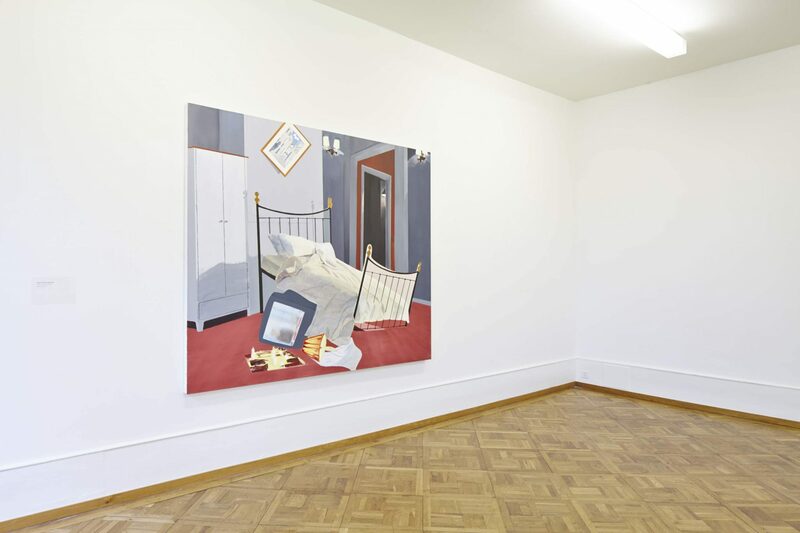 Dexter Dalwood is a rare instance of an artist who examines how history is constructed and interpreted through the making of paintings which are both intellectually challenging and visually seductive. 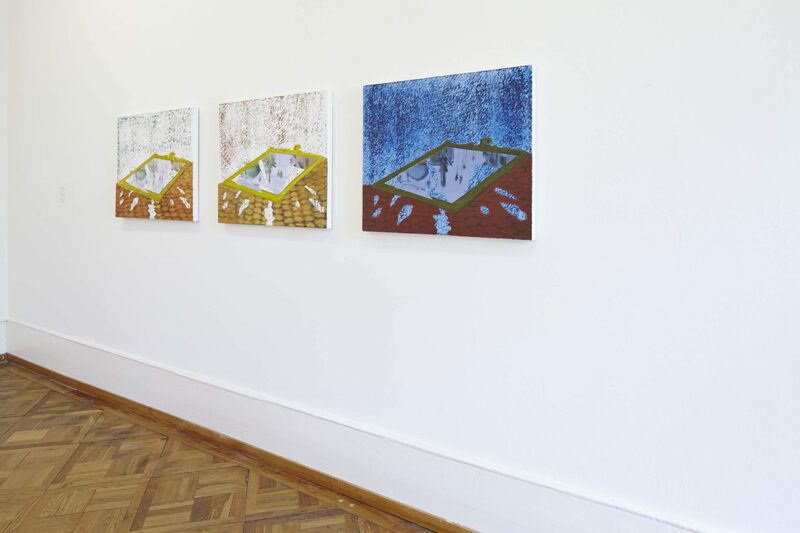 The artist’s juxtaposition of quotations and references from a broad and eclectic range of subjects – from Rosa Luxemburg to Jackie Onassis, Slobodan Milosevic to Jimmy Hendrix – is reflected in his transposition of the cut-and-paste of the collage technique to canvas. He mixes artistic genres, techniques and styles, quoting from well-known works from art history – from Caspar David Friedrich to Sigmar Polke, Cezanne to Frank Stella. 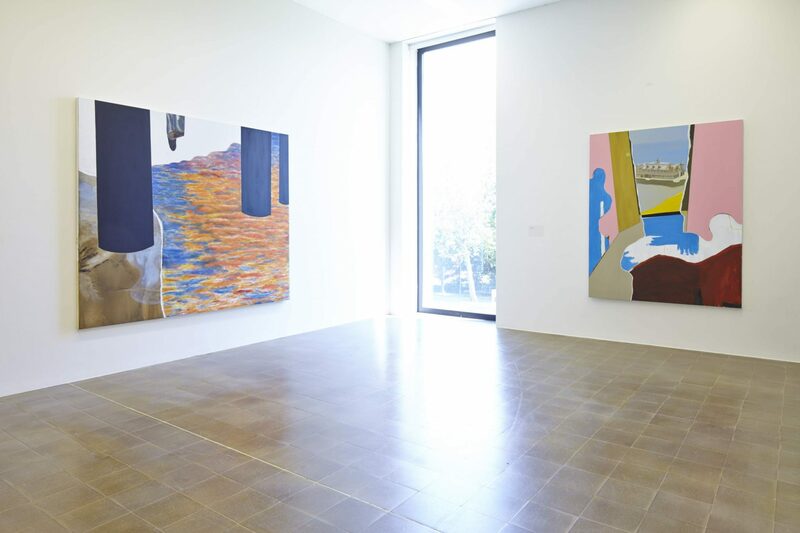 Not only does Dexter Dalwood possess a profound cultural and historical knowledge, he also perceives the connections between art history, politics, music, literature and personal experience, which he intimates with a lightness of touch. 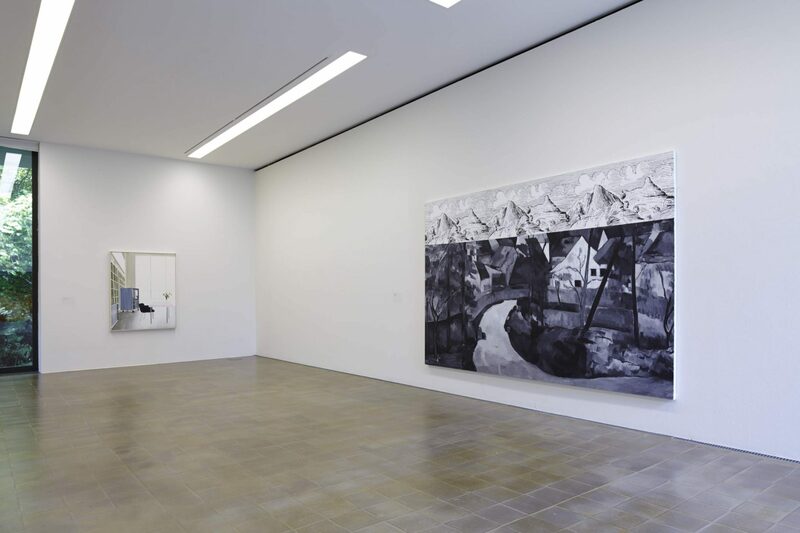 In Dexter Dalwood’s practice the medium of painting is not only examined and celebrated in terms of its history and legacy; the artist also demonstrates the enduring contemporary relevance of painting as a way of communicating how we experience the world in which we live. 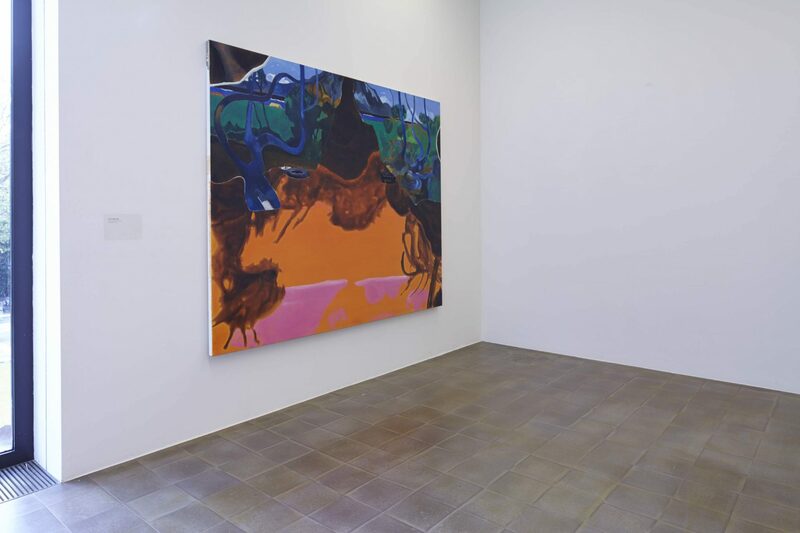 On the flat, painted surface he creates a breathtaking pluralism that refracts and collides the memory of the past with future recollections of the present. 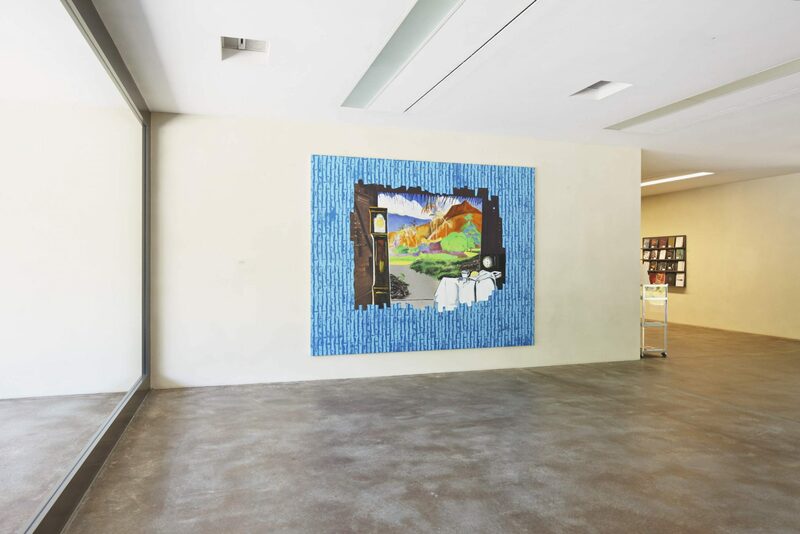 Many people are invoked in Dalwood’s titles – poets and writers, politicians, businessmen, musicians, and other public figures – but none of them make an appearance in the paintings themselves. 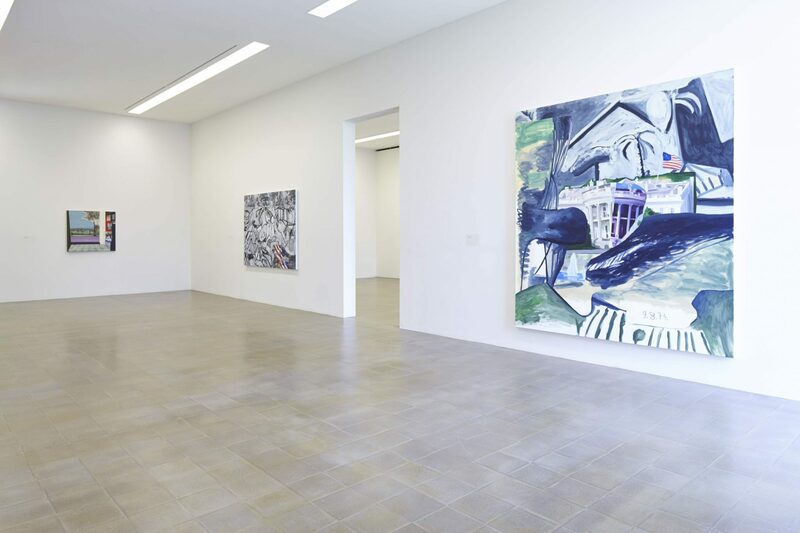 Rather than giving us their likeness, Dalwood’s compositions present a structured context, an interior or exterior environment whose various elements offer a space within which these people, their actions and the ideas and events associated with and surrounding them can breathe. 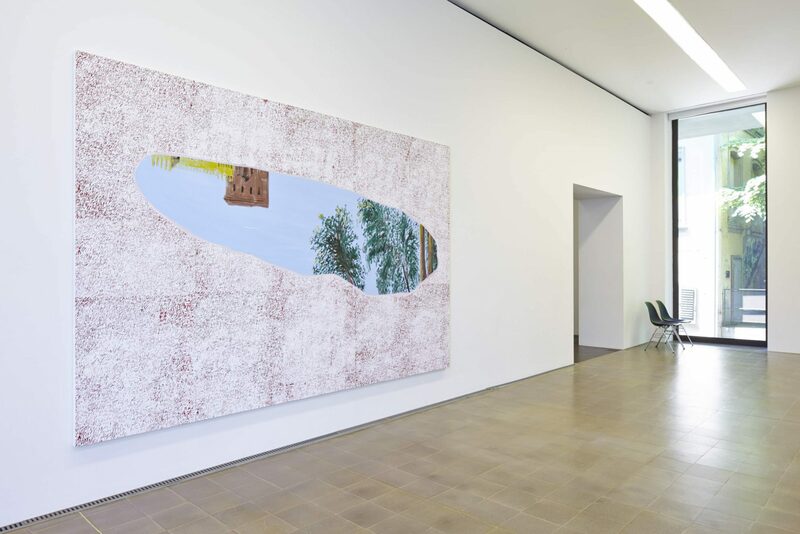 Their invisibility heightens the mystery and artifice of the scene but also removes the most recognisable aspect of figuration from works that ultimately communicate something that goes beyond depiction or language. In conjunction with the exhibition the Verlag für moderne Kunst Nürnberg has issued a richly illustrated publication (dt /fr /engl.) with a text by Michael Archer.